The 2017 Colorful Yunnan International Granfondo Cycling Festival is currently under way in Yunnan Province, visiting the five cities of Kunming, Yuxi, Chuxiong, Dali and Lijiang. The 2017 Colorful Yunnan International Granfondo Cycling Festival is currently under way in southwest China's Yunnan Province. 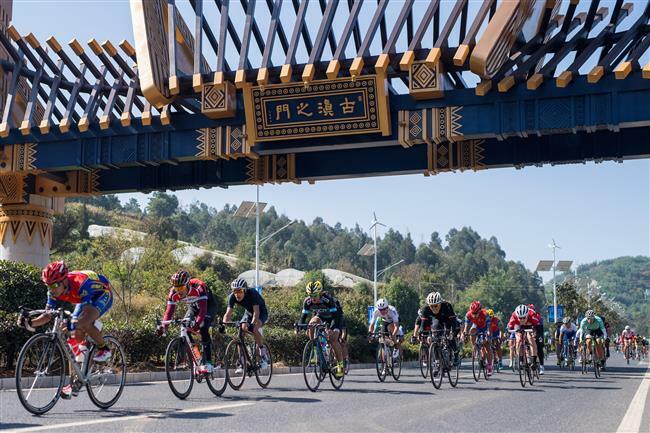 The festival is being held in the five cities of Kunming, Yuxi, Chuxiong, Dali and Lijiang from November 5 to 11, featuring a total of 1,688 cyclists from 20 countries and regions. The first stage in Kunming, capital of Yunnan, had two disciplines — a 114-kilometer race and a 43km race. Cyclists, aged from 12 to 74 years, competed around the scenic Dianchi Lake. According to the organizers, the five stages of the cycling festival did not set an age threshold for registration so as to involve more participants. The Colorful Yunnan International Granfondo Cycling Festival was first held in 2014. This year, the festival was evaluated by the National Tourism Administration and the National Sport Administration as a “National Sport and Tourism Elite Competition” thanks to the outstanding landscapes along the routes and high participation from the public.